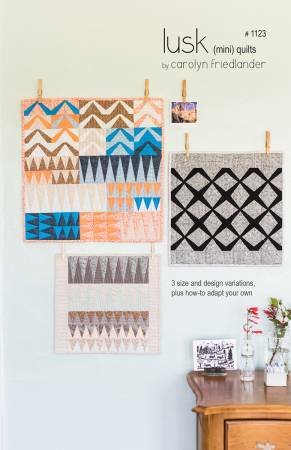 Lusk Quilt Pattern features is a collection of beginner-friendly, foundation paper-pieced blocks to make a series of mini quilts. Pattern features three project variations (sizes 20in x 20in, 16-1/2in x 16-1/2in and 14-1/2in x 15-1/2in), plus guidelines for creating a variation of your own. Fat-quarter friendly, quick and fun to make, Lusk Quilt Pattern is great for workshops and perfect for gift making.